Regardless of how Lyle Lovett chooses to spend his time during the rest of the year, his Chicago fans increasingly have been able to count on his annual summer treks to Ravinia. With his large band in tow, Lovett typically traces an arc through his exquisite catalogue, dabbling not just in pureblood Texas twang, but also invoking bits of jazz, blues, gospel, soul, and Nashville-derived country along the way. When he began his career in 1986, the record industry tried its hardest to put him in a box. He wisely sidestepped his bosses’ moves, and in the process, Lovett, like Willie Nelson before him, effectively found ways of bringing Bob Wills’ progressive brand of Western swing to the masses. Over the past decade, Lovett hasn’t been nearly as productive as he once was, but in concert, it doesn’t matter. He has more than enough quality material to keep his audience fully entertained. Coldplay grew so big, so fast —and it has since sold so many records — that its artistic credibility never really had an opportunity to become firmly entrenched. There are some that continue to complain that Coldplay offers nothing more than a lightweight mash-up of U2 and Radiohead. Yet, with each album it has released, the group also has pushed harder and harder at the boundaries that have continued to confine and define its work. By now, fans surely can sense the frustration within the band over the fact that, in some corners, its efforts aren’t taken terribly seriously. 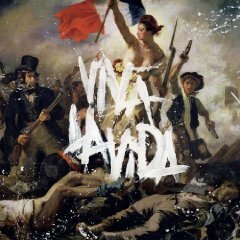 By enlisting Brian Eno to produce its latest set Viva La Vida or Death and All His Friends, Coldplay likely was hoping to win over at least a few of its detractors. Unfortunately, by not giving Eno complete authority to shape its material, the ensemble took the easy way out. Essentially, it tempered the riskiness of its venture as well as the potency of the statement it was trying to make. On tour, Coldplay is performing lengthy shows to some of the largest audiences of its career. Its songs, however, typically have fallen flat because rather than becoming transcendent of their own accord, they sound as if they were written specifically to be viewed as anthems. Jack White is unstoppable. Each year, he adds a new weapon to his arsenal, without ever making his existing stash of munitions seem obsolete. After propelling The White Stripes to the forefront of the indie-rock scene, for example, he became an acclaimed producer, guiding Loretta Lynn’s Van Lear Rose to the upper echelon of Billboard’s country chart. For his next feat, he formed The Raconteurs, kicking aside the moody ballads that dominated The White Stripes’ Get Behind Me Satan in favor of reviving crunchy rock for the mullet-wearing crowd. With his latest project The Dead Weather, White observes the garage-rock era from yet another vantage point. There’s still something strangely unoriginal about his many adaptations of the blues, but as long as he keeps jumping from place to place, few people are likely to catch on. Josh Ritter began his career as a quiet, ruminative, folk singer whose output typically crossed Nick Drake with Leonard Cohen and Townes Van Zandt. Over his last few albums, however, Ritter has been steadily widening his purview to the point where The Historical Conquests of Josh Ritter, his latest endeavor, bore only a passing resemblance to his early works. Beneath the surface, however, Ritter hasn’t changed very much, if at all. A careful wordsmith, he conjures scenes, moods, and emotions like a highly skilled poet, and although he still has a tendency to sound like he’s trying too hard, the breadth of the sonic landscape he presents at least affords him a place to take cover. For his latest tour, Ritter is augmenting his backing band with a local horn section, which will help him to recreate the dense atmospheres of some of his recent compositions. In response to his latest outing Time the Conqueror, Jackson Browne has received some of his best reviews in years. Not surprisingly, he’s delivering a heavy dose of material from the endeavor on his latest tour. For the rest of his show, however, Browne admirably is keeping things loose. By choosing not to adhere to a set list, he has given himself plenty of room to delve rather deeply into his considerable repertoire. There’s no doubt that Running on Empty will find its way into each and every performance. Fan favorites like Before the Deluge and For Everyman likely will be frequent visitors as well. Yet, there’s also hope that more obscure selections — For a Dancer, Our Lady of the Well, From Silver Lake, and These Days, among them — will also surface from time to time.